I’m really excited to announce the Enterprise VR Calendar Release 1.2! This release has some much requested features, the most exciting of which is our new search functionality. But now you get to choose where your visitors see the search results! Don’t worry, you can still display them inline, like above if you wish. But now you can also re-direct users to the search bar result page, which will display the results in a beautiful format complete with the option for a thumbnail image and / or google map detail showing the exact location. You also get to display a summary snippet for the listing as well. This is a great time to make a sales pitch and describe the killer features of listing. Other options include the Book Now Button (only shown if booking is enabled), and the View Listing button which is visible if you include a link to the detailed listing. 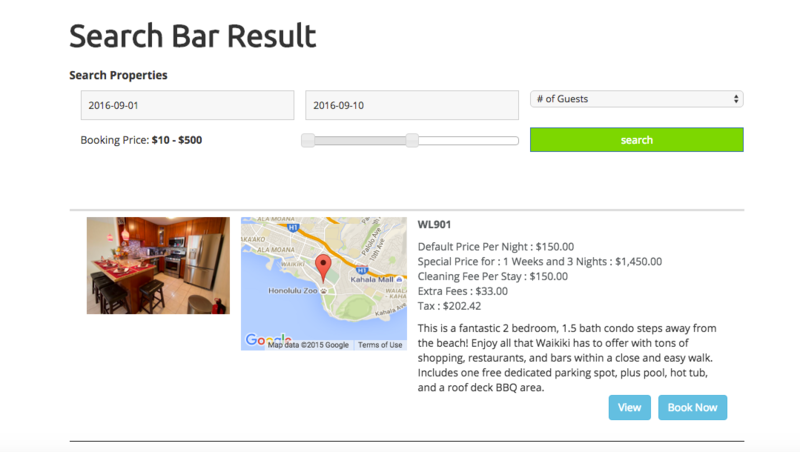 The last great feature we added to this release is monthly and weekly pricing option! 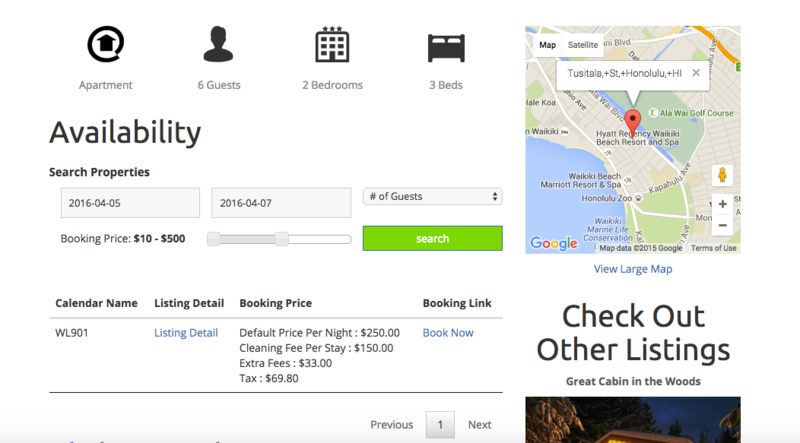 This lets you offer your users discounts if they book a longer stay of one week or more. Download Enterprise Version 1.2 now to get the latest features! Hi there! So, there could be two reasons for this. One is that your account expired and you need to renew your license. Second reason, some hosting plans block this type of auto update. Not sure why. But if you have one of those hosts then you can update the plugin manually by logging into you VR Calendar Sync and download the plugin there, then de-activate it and delete it on your wordpress dashboard, upload the new one, and activate and you will have the latest version. 1.Tax is not applied to whole amount after line items..only to nights with default price. 2. is there any way to add an agreement form into the payment track? book /agree/then pay? Thank you so much! we are trying to wrap this site to start advertising it. Hi thanks for your comments! With our latest version you can now choose which items to apply tax, and require a rental agreement download before they can complete their purchase! Hope you check it out.